In Aghia Pelagia, one of the most beautiful and natural villages of Crete, guests can easily find Amazona Apartments with its 16 apartment rooms and studios. This is a family owned business; and all guests will enjoy the hospitality they receive form the warm and friendly owners who look after them with great care. 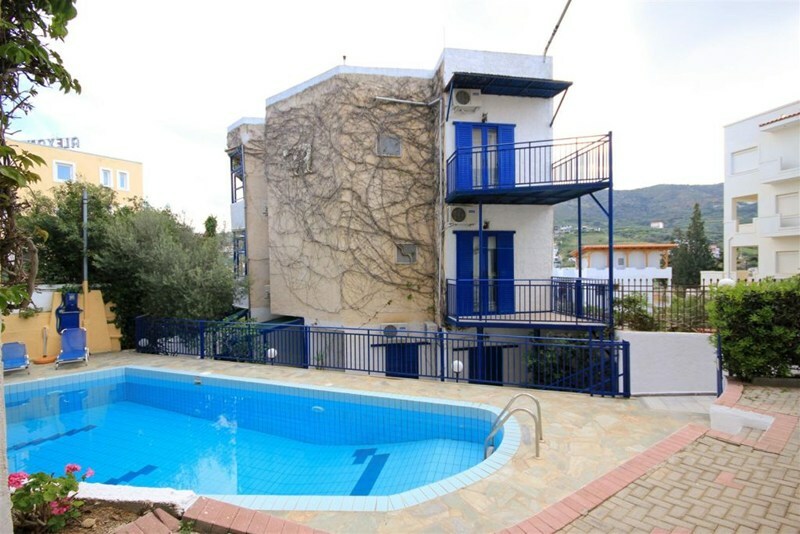 The apartments are located 180m from the beach, 100m from the Capsis Conference Centre and the local bus station, 18 km (25 minute drive) from the airport and the port of Heraklion, the capital city of the island of Crete. sandy beach gradually slopes into the sea. A professional life guard has a special position to control and monitor the beach. There are restaurants, cafe bars, both in plenty around the bay, and you can also easily find a doctor, pharmacist, supermarkets, internet cafe, car hire and tour offices. Finally you can find other beaches within walking distance around Agia Pelagia.